Sendai is a city with much to offer. As an urban center, there is much to experience in terms of culture, sports, dining, and nightlife. Of course Japanese food is everywhere, but international cuisines are common as well. In fact, I had one of the best burgers in my life at Sasebo Burger on Jyozenji Street. Furthermore, no matter what interests you have, most likely there are places and groups for you to pursue your passions. In short, Sendai offers the charm of city life. Although an urban center, Sendai is surrounded by abundant nature. Within the city limits, there are many hiking trails and parks as well as the Hirose River, which is a wonderful place for a jog or summertime barbeque. In fact, it is known as the “City of Trees” due to its plentiful greenery. Outside the city limits, however, there are numerous mountains, rivers, and lakes that are easily accessible by car, bus, or train. There are also many, many onsen, or hot springs, nearby. The idea of bathing with strangers may seem daring, but onsen really are truly perfect for relaxing after exams. With both the comforts of the country and the charm of the city, Sendai has it all. Sendai is also home to several unique festivals and foods. 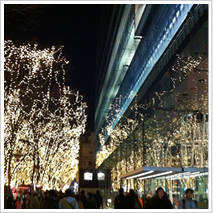 During December, the tree-covered Jyozenji Street is set aglow into a forest of dazzling lights in an event called the Pageant of Starlight. 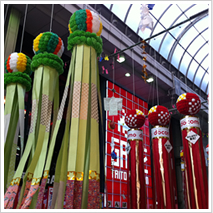 In August, during Sendai’s Tanabata festival, a sea of decorations hangs above the central shopping district of Sendai. 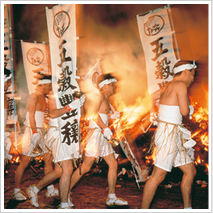 There are several other festivals, such as Donto-sai where hundreds of barely-clothed participants make a pilgrimage to the Osaki Hachiman Shrine in the middle of a cold January night. As for local foods, gyuu-tan and zunda-mochi are the most famous (pictures below). 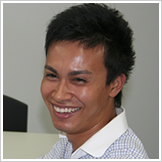 Also, since Sendai is close to the sea, it is widely praised for its seafood, especially sushi. The unique cuisine and culture of Sendai along with its urban, yet natural setting makes Sendai truly a wonderful place to call home. Tanabata. Decorations hanging from the shopping arcade. The Pageant of Starlight. Dazzling and romantic. Gyuu-tan. 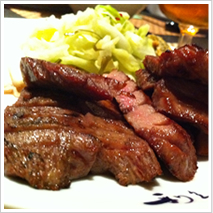 Seasoned and grilled beef tongue. It may seem strange, but it tastes just as good as a fine steak. Donto-sai. Pilgrims making the passage to the Osaki Hachiman Shrine.